CAS Building and Remodeling has over 25+ years’ experience in the Living Room and Family Room Remodeling business, with many successful projects completed for clients in the Grapevine, Aledo, Southlake, Keller, Colleyville, Trophy Club, Weatherford and Fort Worth areas. As one of Fort Worth’s most reliable and reputable Design, Building and Remodeling Contractors, CAS will offer you the living room or family room remodel to suit your precise needs. Whether it’s an update to your old family room, or a great room remodeling which will reflect current popular designs, our award-winning design team is constantly reviewing the latest trends. We will put your ideas into action with our own expertise in order to make sure that the living room remodel you imagined will turn out exactly as you pictured it. At the beginning of the project, we send our experienced contractors to visit you in your home to assess your existing space, and to find out what plans you have for the remodeling of your living room. We will be there to oversee every phase of the process, from the preliminary survey, through the planning stages and construction, to the careful fitting by skilled craftsmen of the features you desire. A living room or family room is often the place where you will spend most of your time; it will reflect your family's needs and habits, so it's important to get the remodeling just how you want it. It may be that you want to have additional shelving or built-in units for your books, photos or sound system, or you may wish to carry out more extensive remodeling to take down an interior wall and expand the whole area of your living room. Fireplace remodeling can be part of this process. A fireplace is a central focus to a living room or great room, but it can be difficult to design and build, particularly if you are considering extensive fireplace remodeling in your plans which might involve structural alterations. Whether you already have a fireplace you want moved, or you want to install a new one, CAS has the construction and design expertise to help you realize your design vision. Foyers or entryway remodels can also be accommodated to take account of other changes in your living space. CAS is a local Fort Worth business, family-owned and operated, employing only the most highly skilled craftsmen and experienced contractors, and using only the best materials, purchased at an honest, fair price. We aim always to keep within reasonable time and budgetary constraints, and will keep you constantly advised at every stage of your remodeling project. We pride ourselves on being a turn-key company. From the very first phone call to the fitting of the final door-knob, our experienced advisers will be with you every step of the way, to answer all your questions, consider your needs, and even to tell you straight if we think something you are planning might not work. 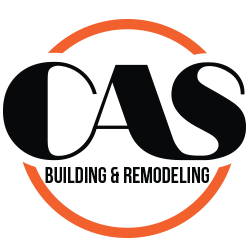 If you are contemplating a living room remodel, CAS Building and Remodeling is ready and waiting for your call.